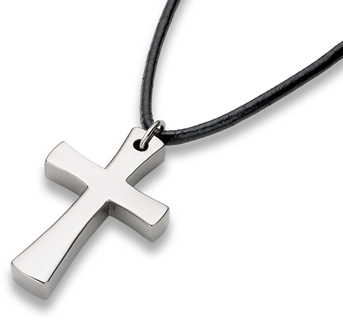 Made with expert craftsmanship, this is one of our favorite titanium cross pendants! Cross pendant measures approx. 1 1/4" tall x 7/8" wide and 3/16" thick. Necklace measures 20" in length and comes with secure safety clasp attachment. We guarantee our Titanium Cross Pendant to be high quality, authentic jewelry, as described above.